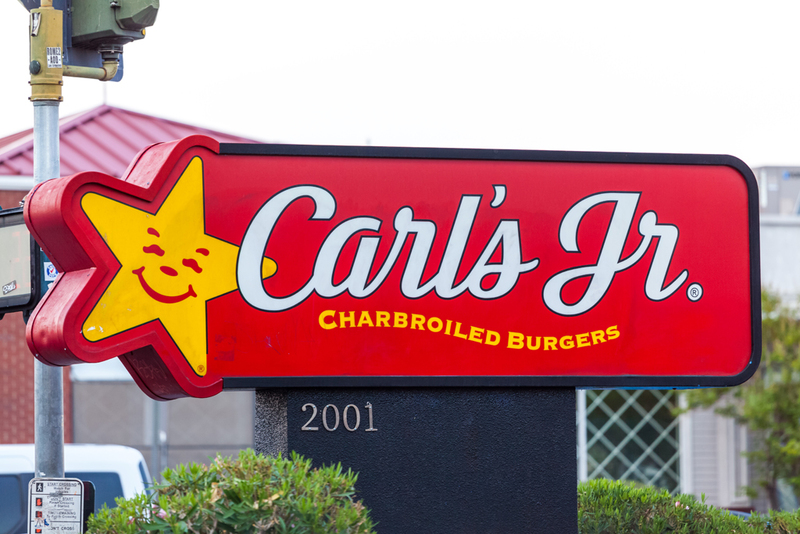 Carl’s Jr. faces a huge fine for allegedly violating Los Angeles City’s minimum wage. Penalties just got very costly for Los Angeles employers. The Los Angeles City Attorney’s Office and the City’s Office of Wage Standards (OWS) announced this week that they are demanding $1.45 million in penalties from Carl’s Jr. Restaurants for the alleged failure to comply with the city’s minimum wage laws at several Los Angeles locations. On July 1, 2016, of last year, the City of Los Angeles implemented a minimum wage rate of $10.50 per hour for employers with 26 or more employees and $10 per hour for employers with 25 or fewer employees. These rates will increase this week. The OWS can investigate and take administrative action to enforce the minimum wage. The city launched an investigation after receiving a complaint from a Carl’s Jr. employee. The investigation into the company’s financial records revealed that 37 employees were allegedly not paid the required minimum wage from July 1, 2016, to December 31, 2016. Carl’s Jr. was also cited for allegedly failing to post the mandatory Los Angeles minimum wage and paid sick leave poster at two Los Angeles locations. Employers must post the OWS’ Wage and Sick Time Notice in a conspicuous place at any workplace or job site in English and any other language(s) spoken by at least five percent of the employees at the workplace or job site. The penalty being sought is high: The City is demanding that the company pay $910,010 in penalties to the 37 employees identified in the investigation by July 24, 2017. The City is seeking an additional $541,423 in penalties and fines for allegedly violating the City’s minimum wage law, failing to post the required notice and failing to provide investigators access to interview employees at two locations. In addition, if Carl’s Jr. fails to make payments, the city may file a civil action, the city attorney said. A lien also can be placed against any property owned or operated by an employer who fails to pay wages, penalties and administrative fines calculated by the City Attorney’s Office. Pay back pay for wages not properly paid. Pay a fine of up to $120 to each employee whose rights were violated for each day that the violation occurred or continued. Pay ​up to $50 for each day, or part of a day, for each person the employer failed to pay minimum wage. Pay up to $500 for any of the following: failing to post any required notice; failing to maintain payroll records; failing to allow OWS access to records and failing to provide employees required information. Pay up to $1,000 if the OWS determines the employer retaliated against an employee. Subsequent violations may result in even more fines. An employer has the right to an administrative hearing to contest the OWS’s determinations. According to a report from Law 360 (subscription required), Carl’s Jr. Enterprises issued a statement saying that after the “inadvertent payroll error” was discovered in April 2017, the affected employees were “swiftly” paid the roughly $5,400 in back wages. The company is willing to pay a reasonable fine for the mistake, according to the statement issued on behalf of Carl’s Jr.
“However, given the excessive demands of the [Office of Wage Standards], we have no choice but to defend against any OWS actions,” the statement concludes. This matter highlights the complexity of being an employer in California. Not only do you have to make sure you comply with all California and federal wage-and-hour laws and posting requirements, but you must also keep track of the burgeoning number of local ordinances regulating wages, leaves of absences and other employment matters. Failure to comply can be an extremely costly proposition. Just making the employee whole often won’t be enough; the local government may issue fines and penalties. CalChamber members can learn more about Local Ordinances, like those in Los Angeles City and County, in HRCalifornia’s new section, which includes a Local Ordinances map and Local Ordinances Wizard. Not a member? See how CalChamber can help you. CalChamber also offers California Cities and Counties Labor Law posters in the CalChamber Store. To be compliant on July 1, 2017, employers will need to update their City of Los Angeles Labor Law poster.